A new permanent exhibit at The Tech focused on wearable technology called Body Metrics. The technology featured in this exhibit will eventually influence almost every aspect of our life, especially our health. You can think of it almost as Mobile Devices v2.0. Visitors to Body Metrics will be given a Sensor Kit with three wearable devices. After interacting with exhibits, visitors can place one of these devices on a 12-foot touchscreen table and see how their activity level, tension, mental focus, talkativeness, and attitude were impacted. For more information, have a look at the press release below or the Body Metrics page at The Tech's website. 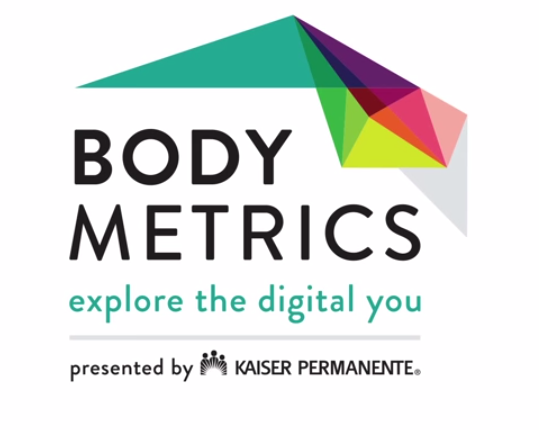 SAN JOSE, CA — The Tech Museum of Innovation on Thursday opens a new permanent exhibition, Body Metrics, presented by Kaiser Permanente. Body Metrics invites people to learn about their physical, social, and emotional health, and how they are affected by environment, behavior, movement, and interactions with others. Visitors will be outfitted with a Sensor Kit including three wearable devices — a customized iPod, a Somaxis muscle and heart sensor, and a NeuroSky headset. Using these tools, they’ll be able to explore and manipulate their data streams, displayed on the iPod screen, while participating in activities within the Body Metrics exhibition and throughout the museum. After interacting with exhibits while wearing the technology, visitors can place their iPod on a 12-foot touch table that displays their data in six categories: activity level, tension, mental focus, talkativeness, attitude, and the number of people nearby. By exploring and learning to manipulate these metrics by altering their behavior, visitors learn to make small but meaningful changes to their physical and mental health. "Kaiser Permanente was the first health care organization to link computers and doctors to improve members' health. Now, more than 4.7 million Kaiser Permanente members use our digital tools to take charge of their health and partner with their care providers," said Chris Boyd, senior vice president and area manager, Kaiser Permanente Santa Clara. "By sponsoring the Body Metrics exhibition at San Jose's famed Tech Museum of Innovation, Kaiser Permanente wants to spread the message of how powerful technologies can help people understand and manage their well-being." Body Metrics is one in a series of new exhibits representing a five-year institutional transformation that is redefining The Tech as a Silicon Valley resource for innovation. The Tech is creating deep experiences that are open-ended, social, and collaborative, such as Body Metrics and Social Robots, which challenges visitors to design and program a robot for human interaction in real-world settings. Multiple new “design challenge” galleries will cover the museum’s 30,000-square-foot lower level; The Tech is scheduled to open an exhibit on cyber security in the spring of 2015. The Tech is a hands-on technology and science museum for people of all ages and backgrounds. The museum — in the Capital of Silicon Valley — is a non-profit, experiential learning resource established to engage people in exploring applied technologies affecting their lives. Through programs such as The Tech Challenge presented by Cisco, our annual team-design competition for youth, and the internationally renowned program to honor technology benefiting humanity, The Tech Awards presented by Applied Materials, The Tech endeavors to inspire the innovator in everyone. Kaiser Permanente is committed to helping shape the future of health care. It is recognized as one of America’s leading health care providers and not-for-profit health plans. Founded in 1945, its mission is to provide high-quality, affordable health care services and to improve the health of its members and the communities it serves. It currently serves approximately 9.5 million members in eight states and the District of Columbia. Kaiser Permanente is dedicated to care innovations, clinical research, health education and the support of community health. For more information, go to: kp.org/share.